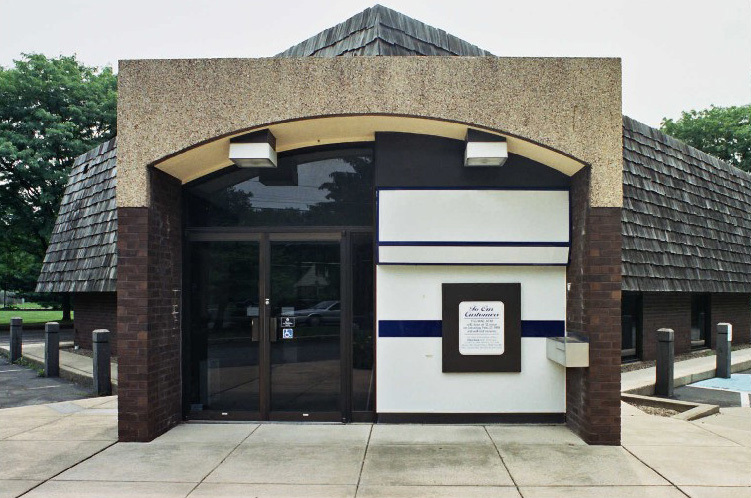 The original building was in an existing, dated office park area, where it was in dire need of a new image to make it an eye-catching destination. But that had to be done without tearing down the building, and working with the existing structure. 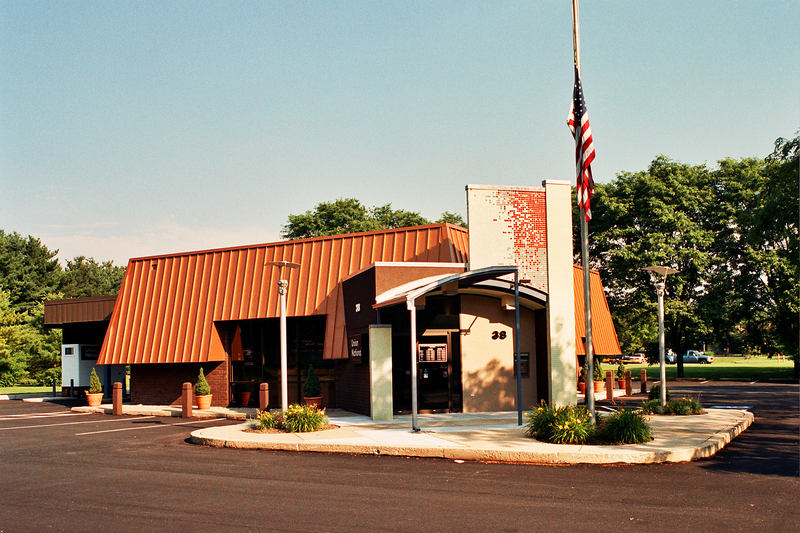 By adapting the existing color schemes used in other buildings in the surrounding area into contemporary lines, designs, and structural features, we transformed the building into this new design. The metallic roof, a modern sculptural entrance canopy, art tile pylons, and enlarged windows blend together to form a façade that is architecturally exciting and evokes a sense of stability and trust for customers. All of this is done within the existing color schemes of the older buildings still in the office park, which maintains some integrations with the surroundings. 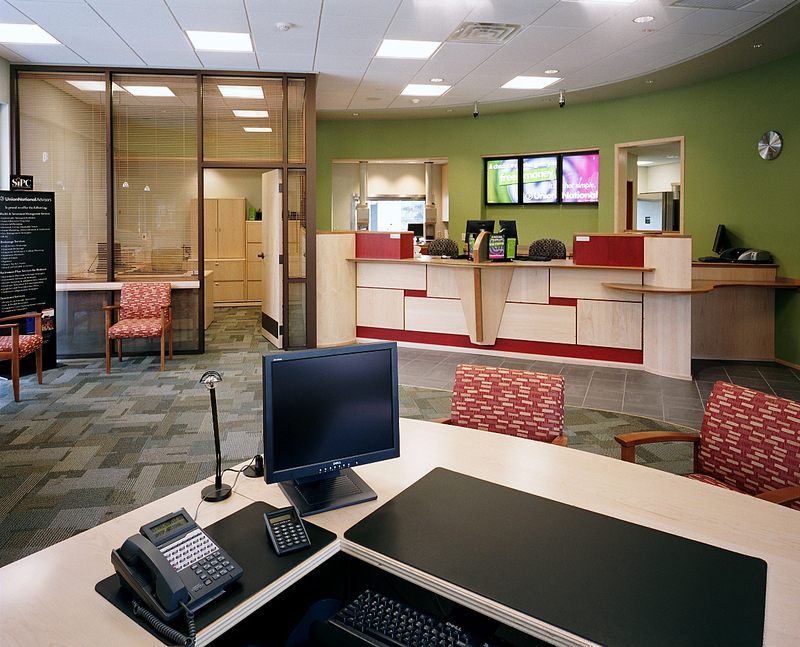 The teller area of the bank has a cheerful ambiance, with bright green walls, red design features in the cabinetry, and bright backlit signage on the wall. The curved ceiling and spot lighting add to the friendly feeling. 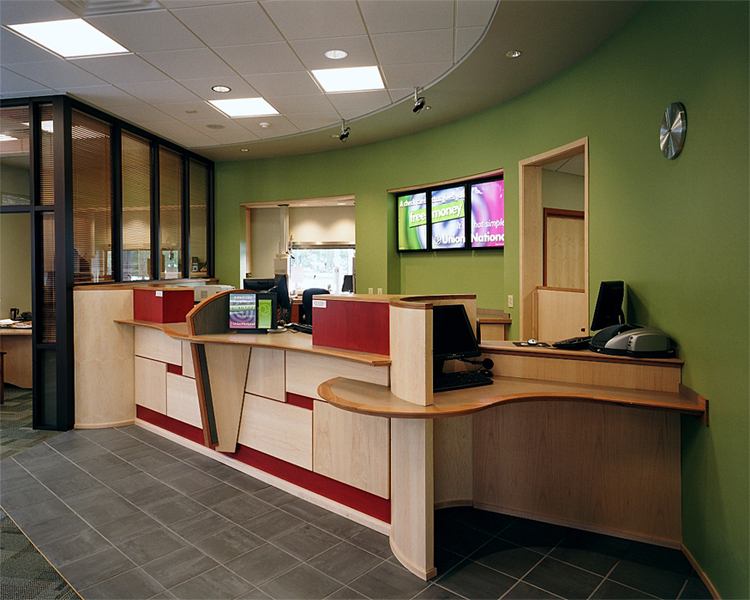 A low curved teller desk at the end allows wheelchair customers to do transactions with comfort and ease. This broader view of the lobby shows how the cheerful colors are continued in the waiting and private meeting areas. The manager’s office connects through a floor-to-ceiling glass encasement that provides a sense of integration with lobby activities while offering privacy for customer meetings. The entire ambiance is one of subtle cohesiveness that provides reassurance and security. This image of the exterior prior to redesigns and renovations shows the substantial contrast in how to turn a severely dated building and façade into the open and inviting destination that reinvigorated the entire area. Major modifications were required without doing any demolition to the structure. This sunny photo highlights the many architectural changes we designed. 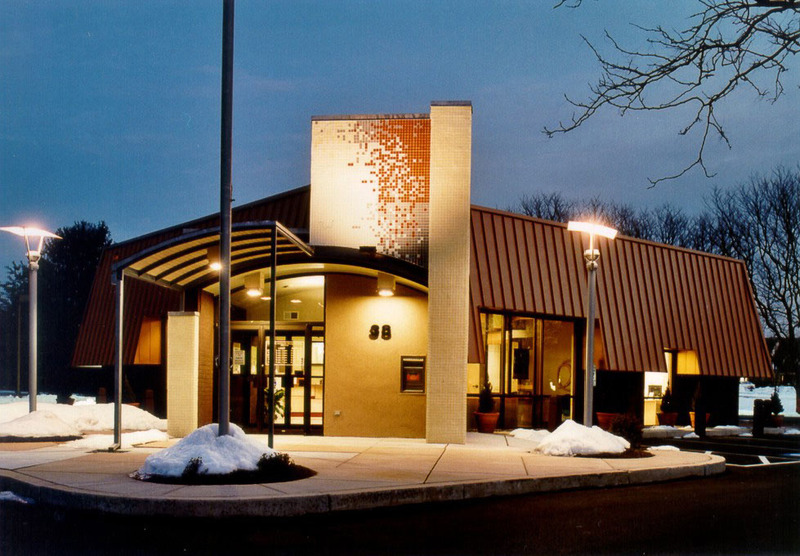 Copper metal roofing, contemporary site lighting fixtures, the bronze roof on the drive up canopy, and the sparkling colored glass tile art pylon at the entrance were all done without changing the original structure. Enlarged lobby windows allow natural light to flood the interior. The combination of these features makes this building a delight for the eyes, as well as a convenient retail destination for customers.